Fall and winter are a magical time. It is the season of food, family, friends and group gatherings. It is the time when the trees change from green to lovely shades of orange, yellow, and red. It is also the time when snow falls and blankets our streets in magical glistening layers of white and silver. 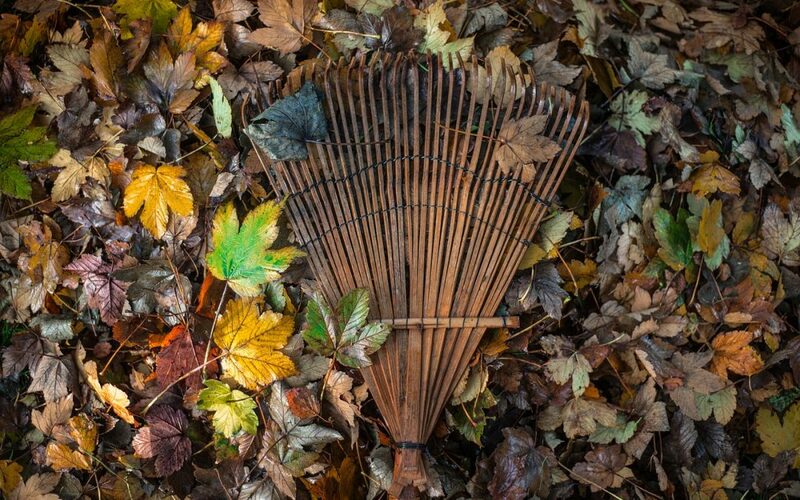 Beware, my friends, because after the leaves have transformed and the snow has fallen, they will have to be raked or shoveled up. This is the time your back secretly fears. So before you go out and rake those leaves or shovel up the snow, here are a few tips to use to keep your back healthy. Rakes and shovels are now ergonomically designed to help relieve the strain on your back, legs, and knees – so be sure to find a rake or shovel that has a curved and adjustable handle to help minimize your bending. Pick a rake/shovel with a small, lightweight, plastic blade this will reduce the amount of weight you are moving. This may take you a little longer to complete the job, but your back will thank you for it. Spend 5 minutes before you begin the work to warm up your back muscles. Ask your doctor for the best routine if you suffer from back problems. Otherwise, try one or all of these simple back warm ups. Don’t wait for the last leaf or the last snowflake to fall. Go out periodically and rake or shovel. When you are out there, don’t try to do it all at once. Take a break, rest your back, then come back and finish the rest. Listen to what your body is telling you – it will tell you when it is time to stop and take a break. Always face the object you intend to lift. Bend at your hips (not at your lower back), then bend your knees, lift with your leg muscles, and keep your back straight. When lifting the rake/shovel, grip it with one hand as close to the blade as possible and place your other hand closer to the handle. Try to walk the load to the intended spot for deposit and avoid twisting the back to move the leaves or snow. We hope these simple tips help you stay healthy and enjoy the holidays free of pain or discomfort.